I have brought order to my surroundings for as long as I can remember. As a child, I would clean and organize my friends’ rooms at sleepovers! Personally, I am highly productive when I have order in my life, so I want this for everyone. Did you say you wanted a Princess Closet? I’ll be right over! 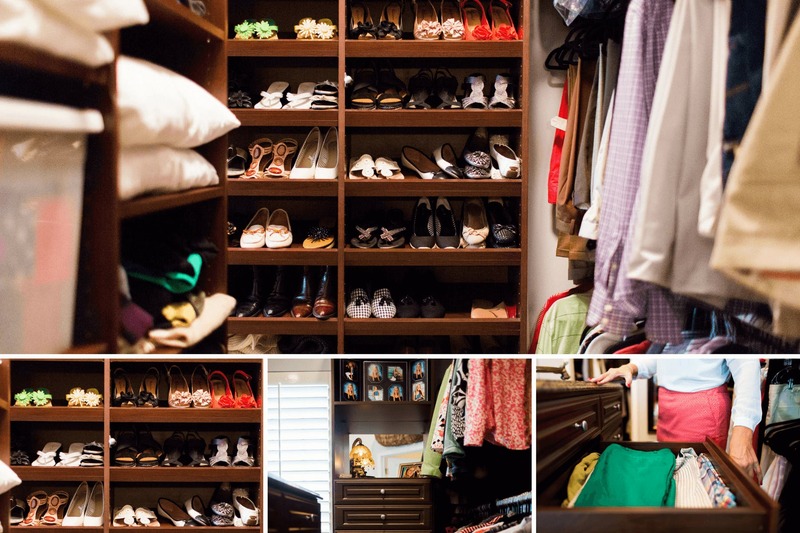 Divide the closet up as if you are shopping in your favorite boutique. Every like item has its own “department.” You don’t want to look in six different places for a blouse, or four different places for a pair of shoes. I see poorly designed closets all the time, hanging on every wall in the closet, shoes on every wall, drawers on every wall. I call that chaos! Matching hangers…velvet slim hangers for most and pant hangers for pants. This might seem like an “obvious tip”, it is not. Most clients have never thought about the hangers…it’s an epiphany for most when they change all their hangers! Inventory…it’s all about the inventory. If I know the storage needs and can measure/count inventory, I will design accordingly. 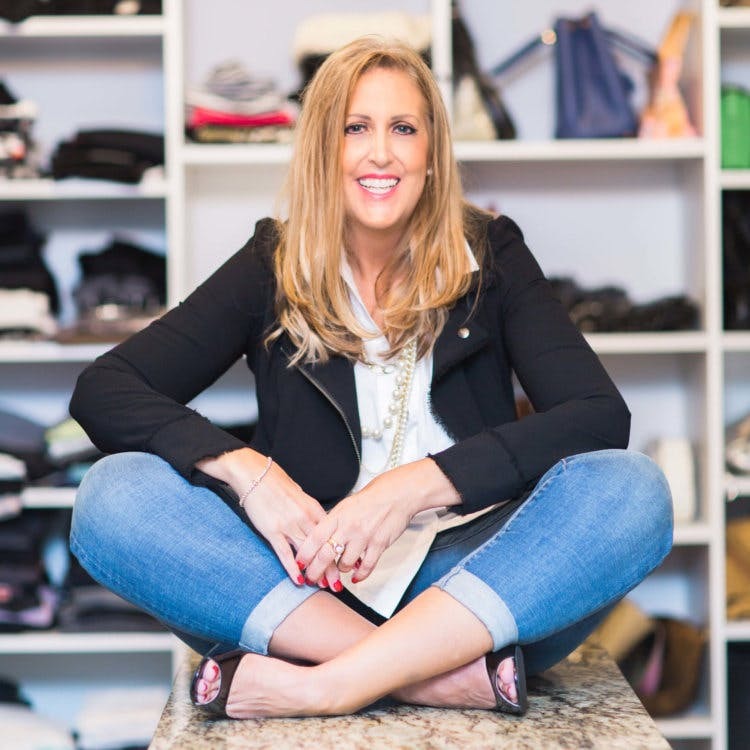 I never tell a client they need to purge or to stop shopping, I will figure out the solution. I ignore how the client is currently laid out, as to not sway how I think it should be. 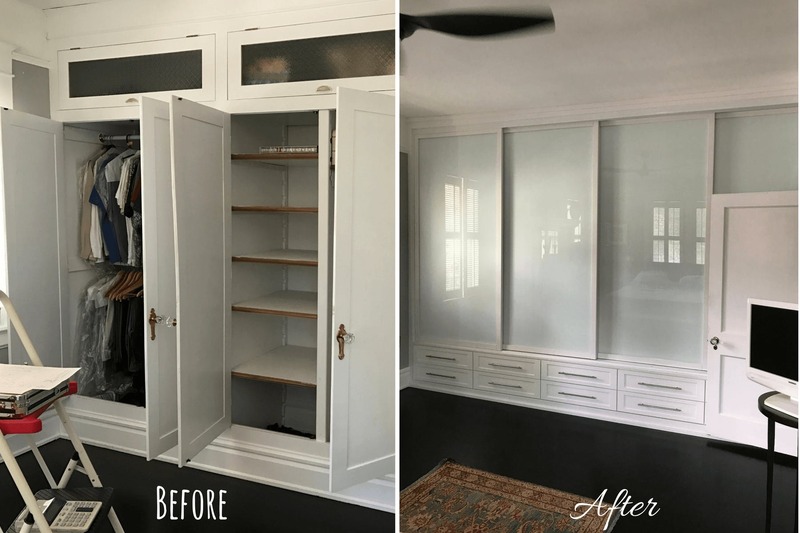 I had a client turning a bedroom into a closet because her clothes were scattered in closets throughout her home. I insisted on doing an inventory myself and counting every pair of shoes. None of the other closet companies did this, they all designed the space based on 200 pairs of shoes, the number she gave them. She actually had 300 pairs of shoes, every pair to go in clear plastic shoe boxes. 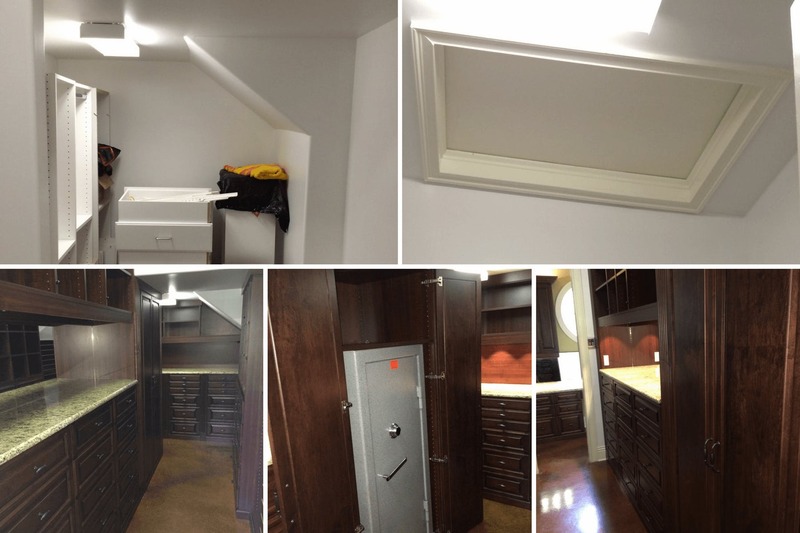 No other closet design was going to hold all of her clothes or shoes, at 84″ high, I built to the 120″ ceiling. Had she used a different closet company, she would have taken over an entire bedroom, yet would still have clothes in other closets in the home. Not the case with the closet we built for her…everything had a place. All kinds! Awkward angles. Crazy walls. Wall dividers. Different ceiling heights. Different widths. Luckily, when everything you do is 100% custom, there’s no design obstacle too big to overcome! I hear everything they say, I take in their every word. They usually do not have a vision, but they usually have a long list of wants and needs. The more they tell me, the more likely I will return with a slam dunk design. They are usually amazed at the level I heard absolutely everything they said to me, and incorporated it into the design. I recently designed a closet for a woman that said how much she loved purses, and that she loved her purses more than shoes. In her currently closet, she had purse storage and wanted that again. What I returned with was some purse storage, but also a lighted glass cabinet, directly across from the entry to the closet, to feature/display her favorite purses. It will be the she will see every time she walks into her closet. I believe it will make her smile, every time. Absolutely, 100%, and if it’s a new home under construction, I’m going to find out what it’s going to be. With all of my clients living at the beach or within an hour from the beach, I currently see a lot of white shaker kitchen and bathrooms, gray walls as well as ultra modern/contemporary, where flat doors/drawers are a must. These clients are not interested in Cherry wood, raised panel. Important information to know, to narrow the selection process. 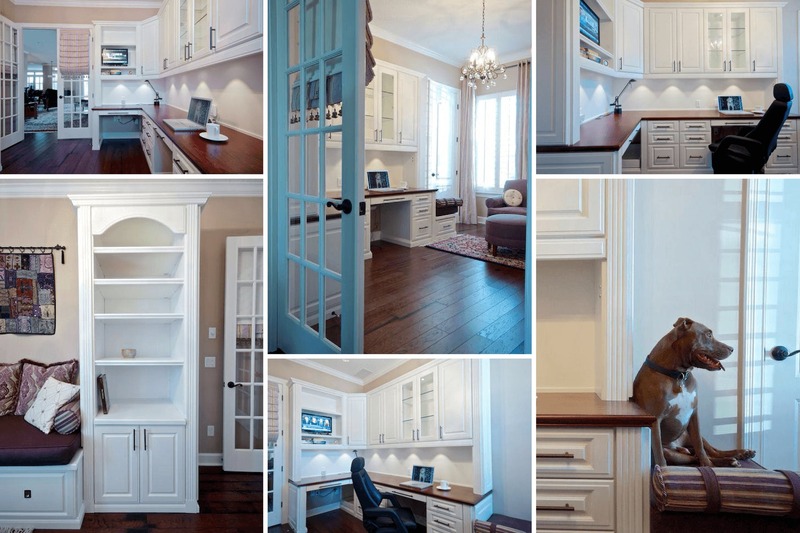 I have done quite a few “combo” home offices. An area to conduct business, but a separate area for a hobby. The separate area may be for sewing or crafts. The two areas are designed completely different, based on the needs. By doing this, it separates work and play. The hobby doesn’t take over the job/business work space. Boutique closet design is by far my favorite trend. This is mainly because the closet is becoming a place people retreat to. 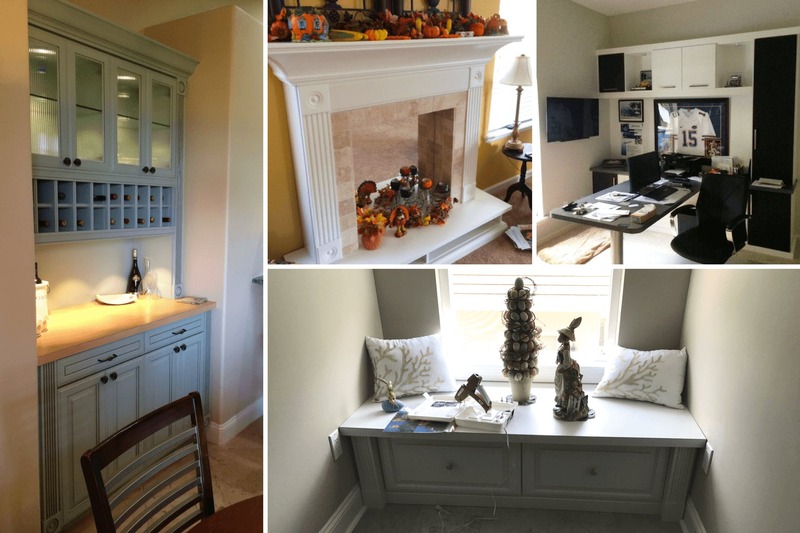 As a result, builders are leaving the empty spaces open for creativity to add a boutique walk-in closet that’s been custom-made for their homebuyers.